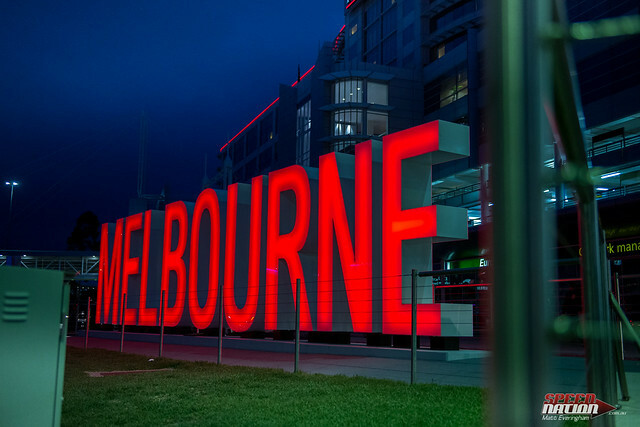 Bridgestone invited us down to Melbourne to try out their newest piece of rubber. The Potenza Adrenalin RE003. 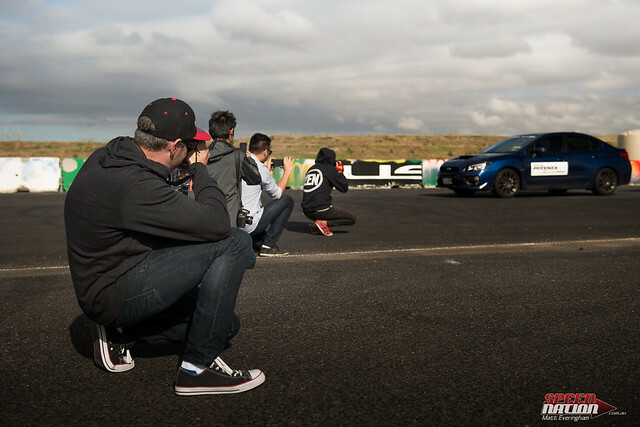 It’s a performance street tyre that is set to compete with the premium end of the market. Think Michelin Pilot Sport 3, Continental ContactSports, Pirelli P Zeros, etc. I had a set of RE001’s way back in the day on my R32 Gtst. They gripped pretty well for a street tyre. I was interested to see how the next gen tyre would perform. The usual Sydney suspects met up at Sydney Airport. The party consisted of myself, Justin Fox, Berty from Cars for Hope, Cambo the Honda King and Alain Saxamophone. We flew down as a group and arrived in the evening. 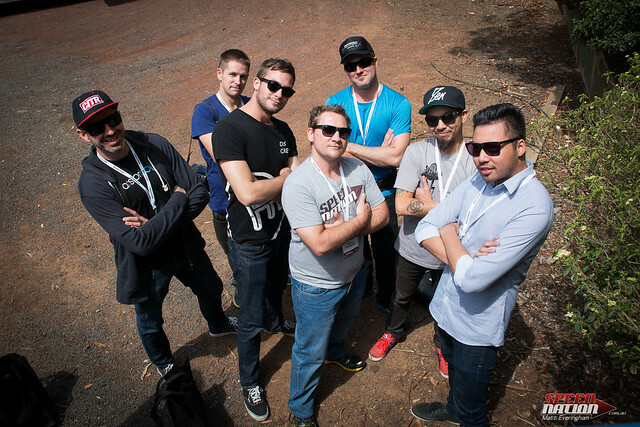 We’d meet up with Jarod from Downshift and and Grant from GripShiftSlide while down in Mexico. Our primary objective once we had landed was to find something to eat. We found an amazingly terrible eatery called “Lazy Moe’s.” It was terrible in a good way though, serving long necks of Melbourne Bitter with 2kg dinner plates of food you’d expect to see at a truck stop circa 1984. All in all, good times and many laughs were had. 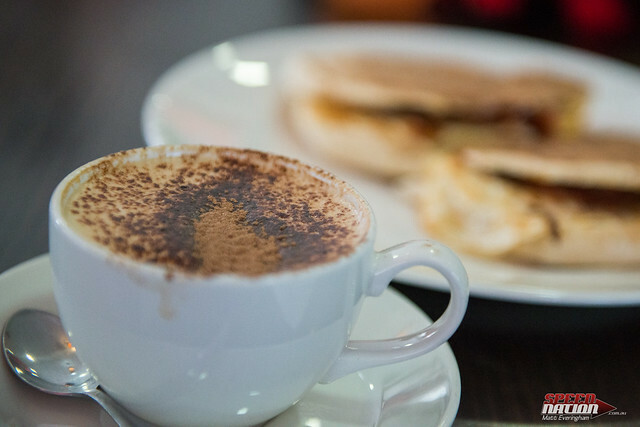 After a speedy but delicious breakfast we hit the road. With a good nights sleep, strong coffee in my bloodstream, Mix-Master-Alain cranking some classic tunes in the car and blue skies in every direction, things were shaping up to be a good day. 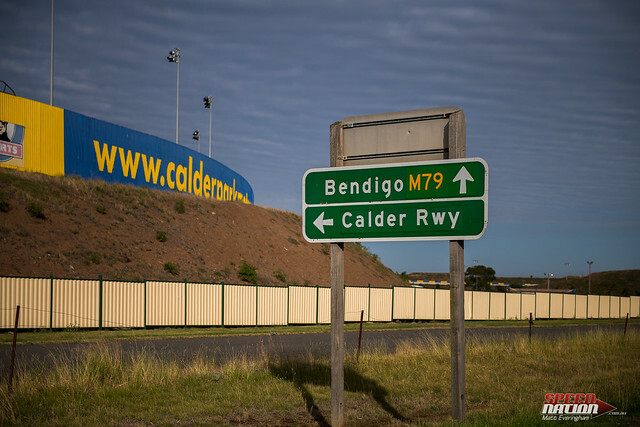 Next stop Calder Park! I’d never been before, but fell in love as soon as we arrived! It was just so different to any other driving facility I’d ever encountered before. It was almost post apocalyptic! I’d really enjoy spending some time down here with a couple of ratty cars. Seeing a couple of Interceptors from Mad Max racing through the empty Thunderdome would not look at all strange or out of place. 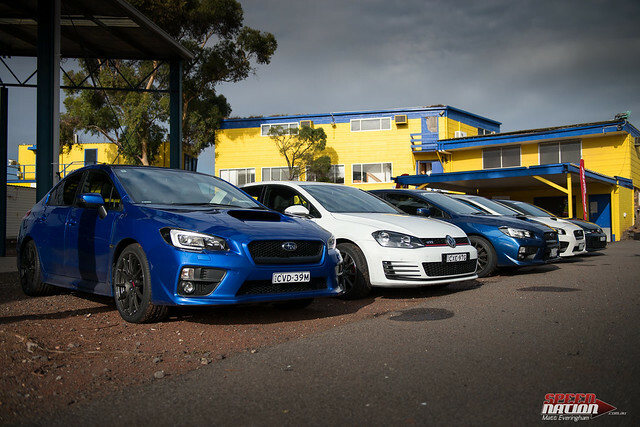 No interceptors today though, Just WRX’s and Golf GTi’s! We were introduced to our fleet of fast taxi’s as soon we arrived. 3 pairs for 3 main driving tests. We milled around for a while and met up with some familiar faces for a briefing and a quick catch up. Photoception! I’m a guy taking a photo of a guy taking of a guy taking a photo of a guy taking of a guy taking a photo of a guy taking of a guy taking a photo of a guy taking of a car. First up was the Wet Slalom. 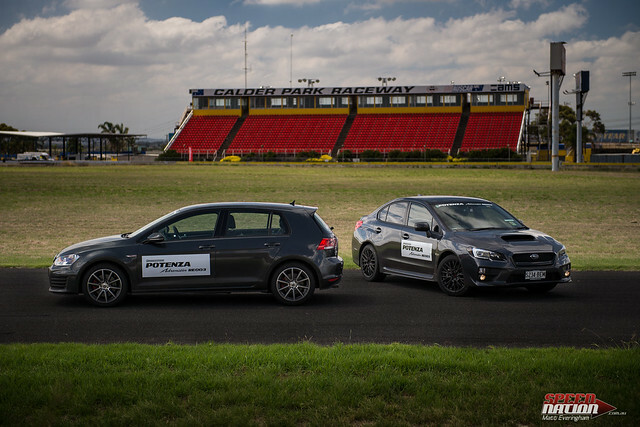 We used a pair of identical automatic (boo) WRX’s. This was my first steer of the new model Rexy, I may have been the automatic but I think I expected more. We were each to have a few runs through a wet chicane at increasing speeds. It was pretty fun. The difference between the tyres wasn’t really noticeable at the lower speed runs. During the 60km run I couldn’t feel much difference between the two sets of tyres. Once we started ramping the speed up though, the difference between the RE003’s and the competitor was crystal clear. At 70km it was pretty obvious and at 80km/h the difference was hitting cones and avoiding cones. 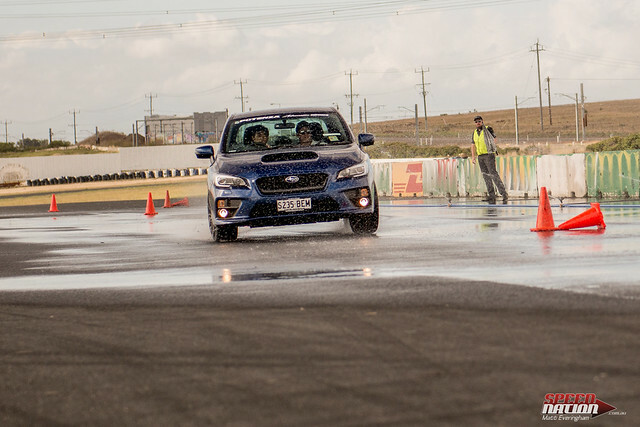 With the RE003’s equipped the car responded to the steering in a more direct way, there was much less over steer/sliding on the water and the car maintained it’s turning and went where you pointed. Even the car seemed to notice the difference. 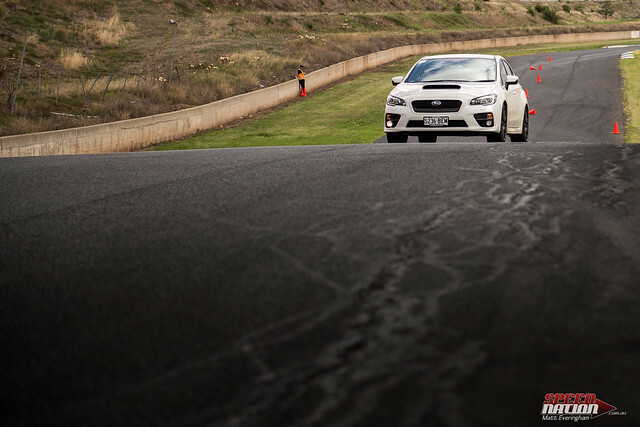 On the Potenza’s the stability control on the car didn’t feel the need to kick in. The second exercise was basically a repeat, but in the dry. 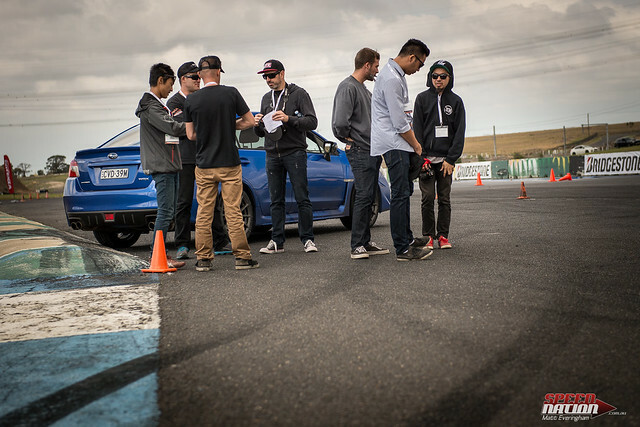 Again, we were driving WRX’s. 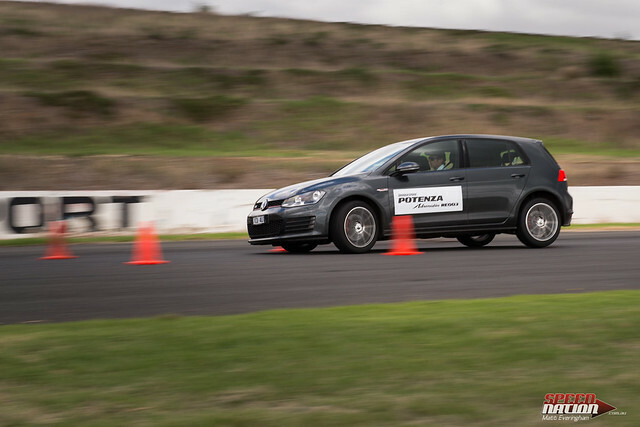 This test was performed at higher speeds than the wet slalom. One the first run, at the lower speed the differences weren’t phenomenal but they were there. 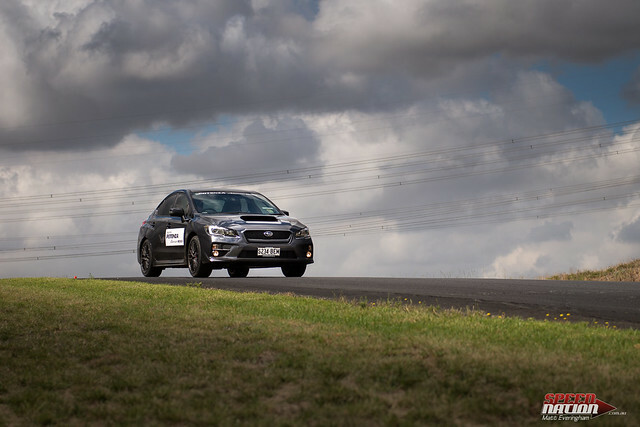 The tyres felt firmer and more planted on the road. Less sideways squishing. Similar to how a more inflated tyre feels, I enquired about tyres pressure and was assured that both cars were filled to placard pressure. 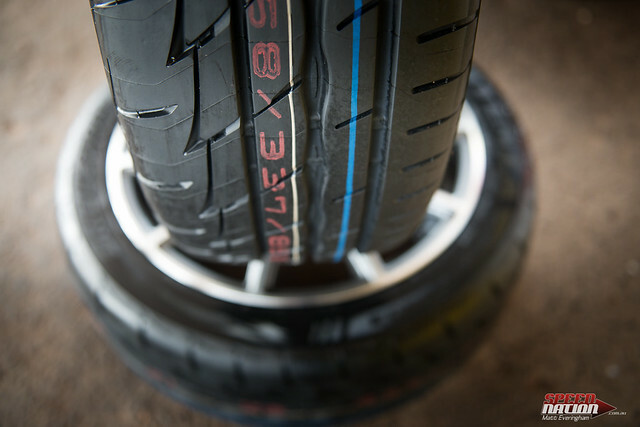 Again, once we ramped up speeds the advantages of the RE003’s over the competitor tyre were made super clear. A more direct feel, a faster response to steering input and less body roll were the most noticeable changes. 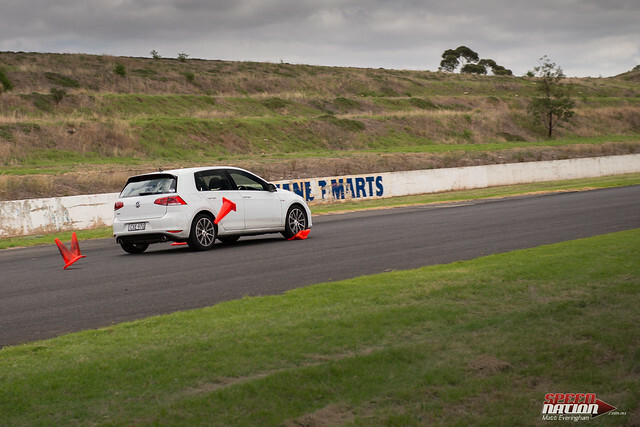 While the competing tyre also did a pretty good job through the manoeuvres, and were a massive improvement over a cheaper set of no-name tyres there was a markable step up in performance by the Potenza RE003’s. I ended up completing this test with better results (i.e. 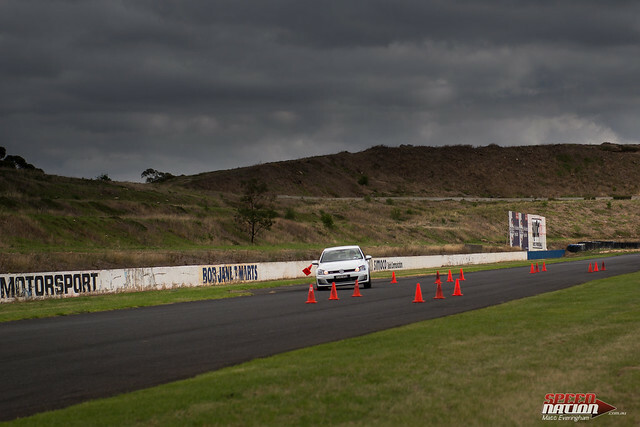 killing less cones) at about 10km\h faster. The final run for the day was a high speed lane change. 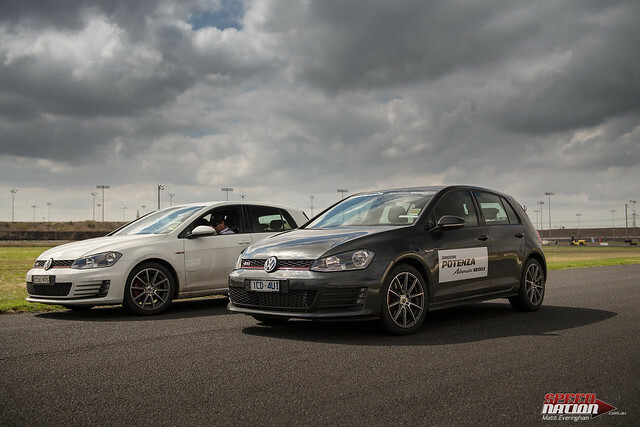 Instead of the WRX’s we were sitting in Golf GTI’s for this test. 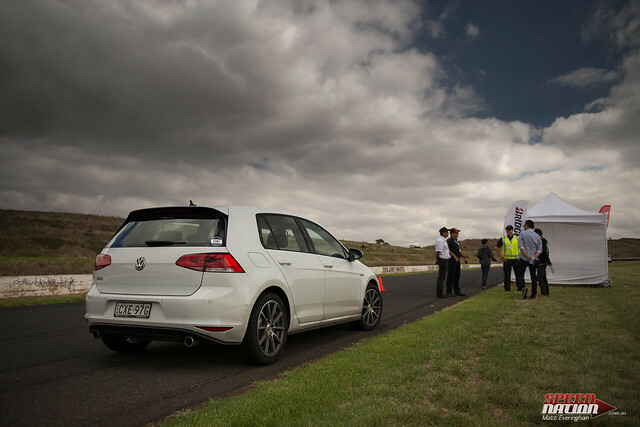 On a side note, this is the first time I’d ever driven a Golf, What an awesome little car! 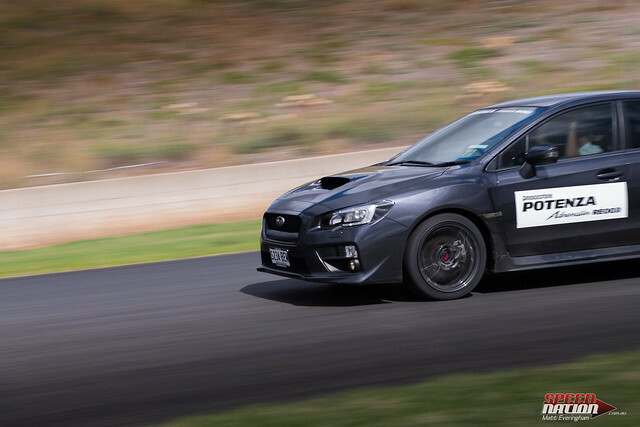 Hands down it outperformed the WRX’s on the day in every way! I can see how these little cars have such a cult following now. We were encouraged not to drive like a race drivers. The scenario was one that’ve all experienced. You’re driving along minding your own business, something happens in front of the car and you need to take action fast! 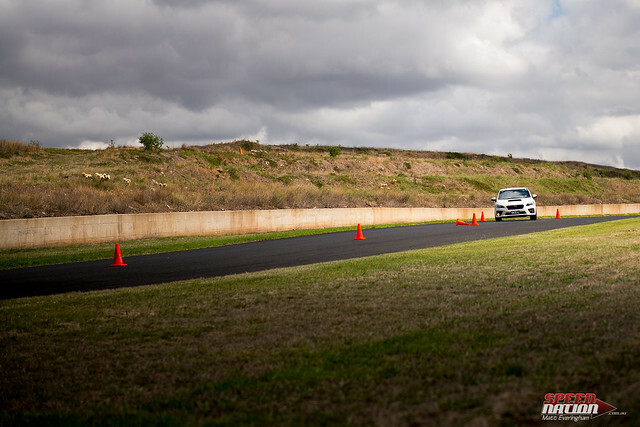 Once you’ve moved around the initial threat you need to quickly move back into the original lane. I felt sorry for the field guys. 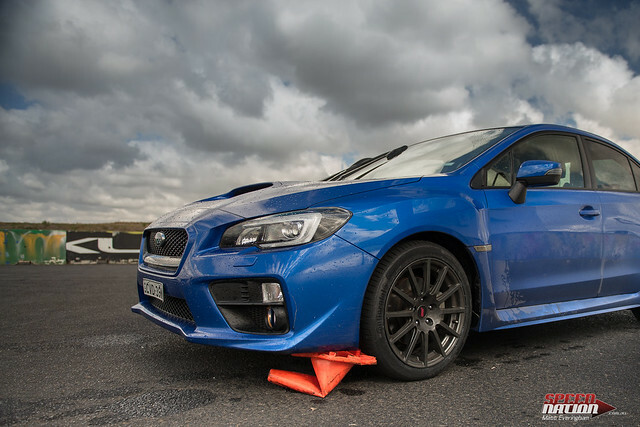 On almost every single run in the Competitor car at least 2 or 3 cones were struck! This test was the hardest on the cars and tyres and by far the most conclusive as to what difference the tyres made to the car. The RE003’s held the driving line so well compared to the other tyre! 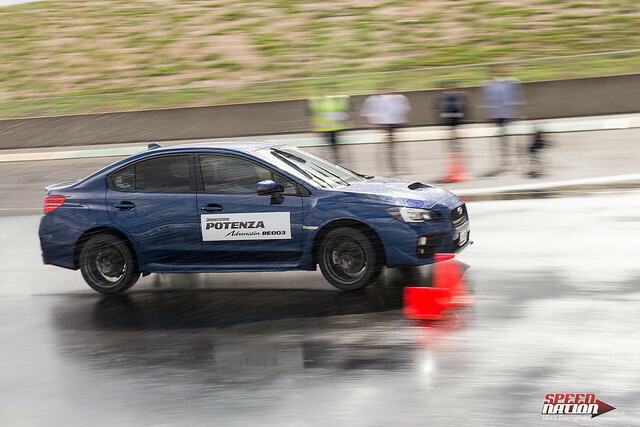 On my first in the Potenza equipped tyres I tried to compensate for the over steer and delay that the other car displayed by cutting in early. The car just gripped and followed the wheel input. Apart from this first run where the error was human judgement I’m pretty sure I missed the cones on all runs. The final run was the best fun, I went a little faster than I should have. We were pushing close to 90km/h just before I ripped the steering wheel for some extreme lane changes! Still, no cones were hit, the car responded well! 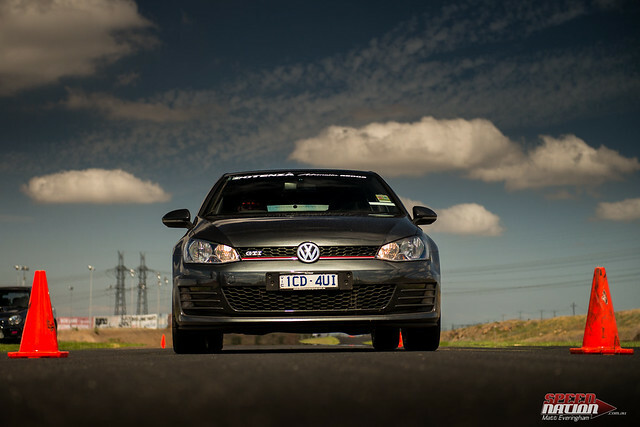 I really want some more seat time in a GTI now! Following the exercises we went out with the driving instructors for a hot lap at the same time. I chose the Competitor car because I figured it’d be a more exciting ride. I was right. 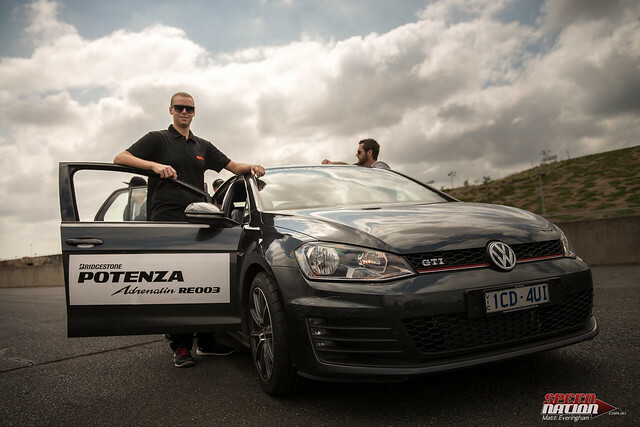 After the Hot Lap with the instructors, we were in for an extra drive with V8 Superstar and Tekno Motorsport Driver, Jonathan Webb. 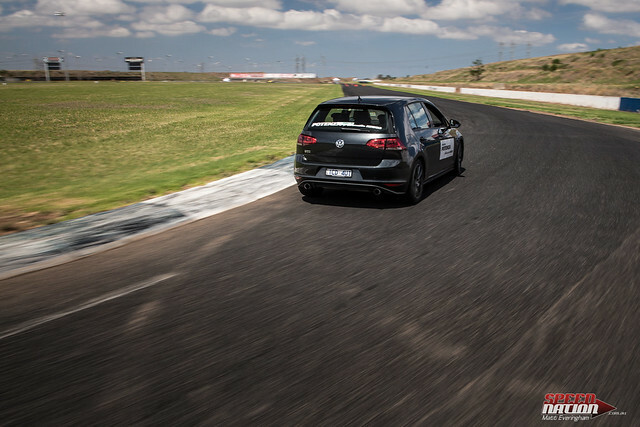 He tore the Tyres off the little GTI! Conclusion: Two things were made clear to me. 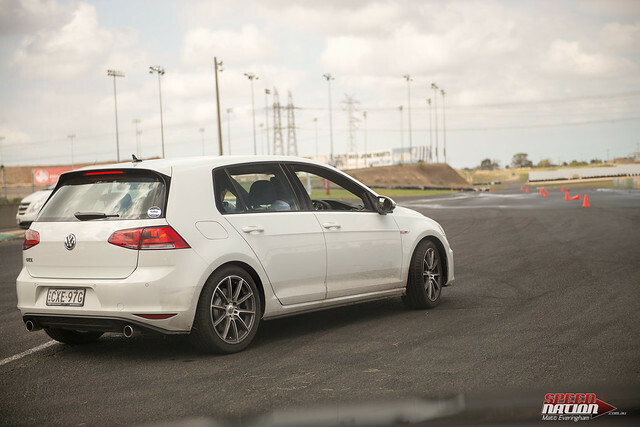 1) I need to spend some more time looking at the Golf GTI’s! Such a rad little package! 2) The RE003’s did what the marketing spinsters said they would. I saw sceptically during the presentation but out on the field the tyres did what was written on paper. They handled better, more reliably and gave a more direct feel. 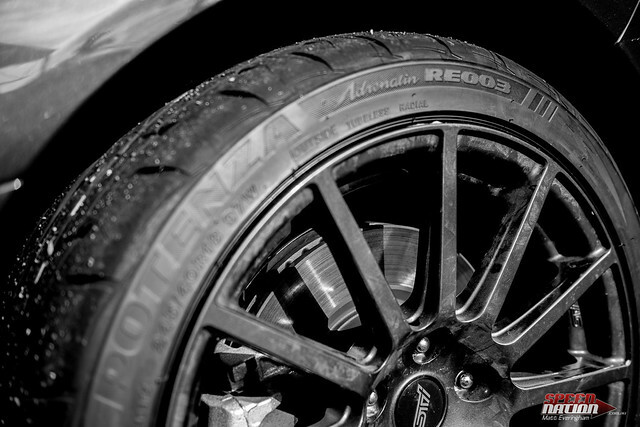 If your in the market for tyres or interested to find out more you can register your interest for the new POTENZA Adrenalin RE003 HERE.